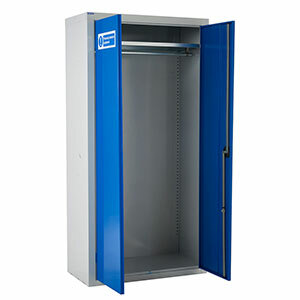 The cupboards are designed to house all PPE equipment and clothing to avoid loss or theft of essential PPE equipment. 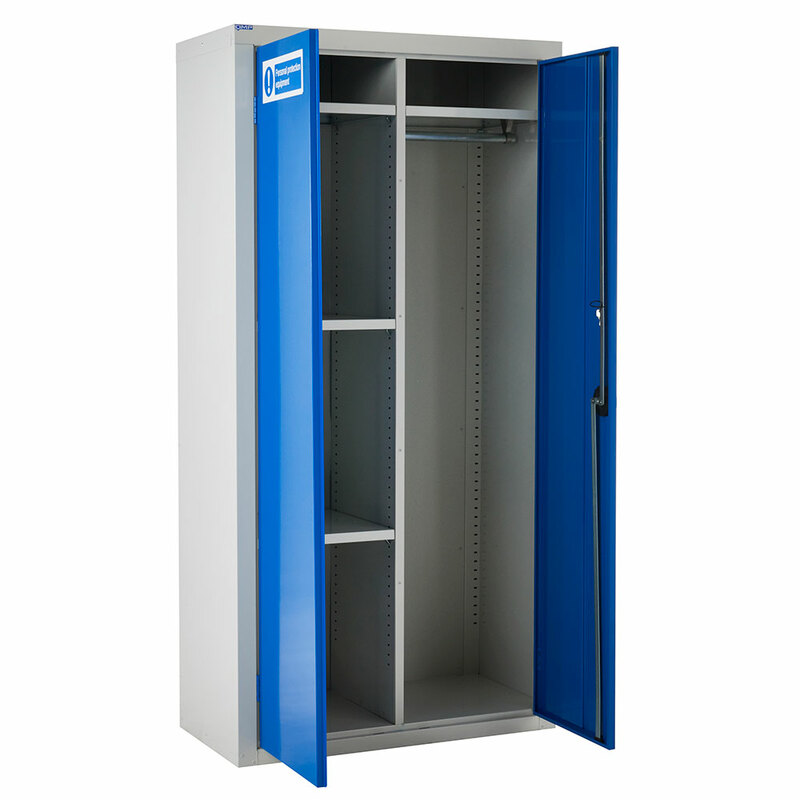 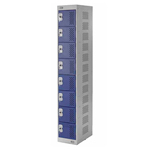 The all steel construction offers peace of mind to ensure the garments and equipment are stored securely. The cupboards come with a dark blue powder coating using Germ Guard Active Technology anti-bacterial paint, resulting in an attractive finish that also improves the health and safety of the workplace by reducing the spread of bacteria. 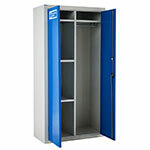 CR1890464BXX - Doors are not square so have to lift a door to lock it.